Mon - Fri = 8am - 6pm / Sat = 8am - 1pm. 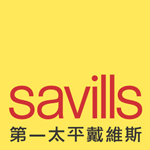 Located at the hub of Central District in proximity to the Central MTR station. Well served by all modes of transportation. Elegant air-conditioned lift lobbies and carpeted corridors. Ideal address for lawyers, doctors, accountants, finance and trading companies.